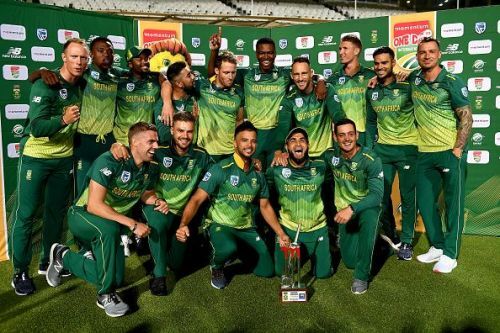 After their splendid win in the Test series, fans and experts looked forward to a similarly spirited performance from the Sri Lankans in the ODI series against South Africa. Unfortunately, the one-dayers turned out to be completely one-sided with the Sri Lankan team not mounting a serious challenge in any of the games. The 5-0 whitewash for the visitors seemed a distinct possibility after just two matches in the series. At that stage itself, it was clear that Lankans are completely devoid of the resources required for posing a serious challenge to the Proteas. With the World Cup fast approaching, the Sri Lankan ODI team looks in shambles and are going to enter the big event as one of the least fancied sides in the tournament. Of course, as we learnt during the Test series, strange things happen in cricket and the Islanders may turn around their fortunes. But that is very unlikely. The South Africans, on the other hand, are on a smooth ride towards the World Cup. But, despite this victory, there remain some serious questions about the team and some of its players. In order to win the World Cup and end their jinx in ICC tournaments, they would need to not just sustain the momentum from this series but improve their all-round efforts. Now, let us look at the biggest takeaways from these five matches. They are going to profoundly affect the preparations of both the teams for the big event in England. 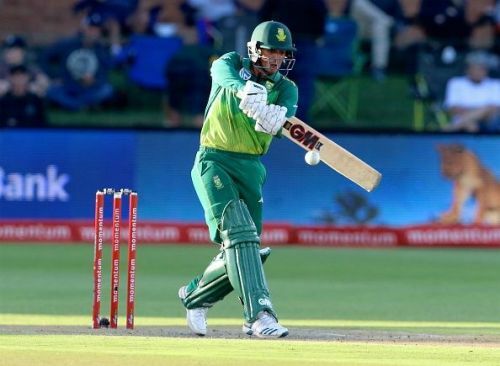 Ever since Quinton de Kock got his maiden hundred in ODIs, he has looked like one of the most dazzling batsmen in international cricket. While he has gone through tough phases which even saw him left out of the team once, the left-hander has generally been a consistent performer. In this series, he was in full flow. One hundred and three fifties in five matches is an incredible return, even if it came against a bowling attack that didn’t hold any terror. However, the southpaw should feel a little disappointed at having scored just one hundred in these matches. This is where the one peculiar weakness in his ODI batting comes into view. He is too free-flowing at times with his stroke-play and can throw his wicket away in a burst of aggression. When it comes to talent and ability, the Proteas opener is not too far away from the likes of Virat Kohli. But unlike the Indian captain, de Kock allows a degree of recklessness to creep into his batting. This is why he failed to get a hundred in the first two matches when they were up for the taking. The shot he played to a horrible delivery in the second ODI, when on 94, was atrocious. If he brings in a measure of calculation to his batting, no record or achievement is beyond his reach.